Our consulting assignments typically focus on improving the new product development system. Too often we see companies try to fix the new product development system by focusing on just the development process – the specific activities, inputs and outputs required to create a new product. Rarely does this work because of the interdependencies of the different elements in the new product development system. A New Product Development System is just that: a system. All the elements must support and reinforce each other in order for the system to generate new products in as effective and efficient a manner as possible. The elements are essentially the same for every organization, but the way in which the elements are defined, the way they link together and the specific tools, processes and skills utilized will differ by organization. 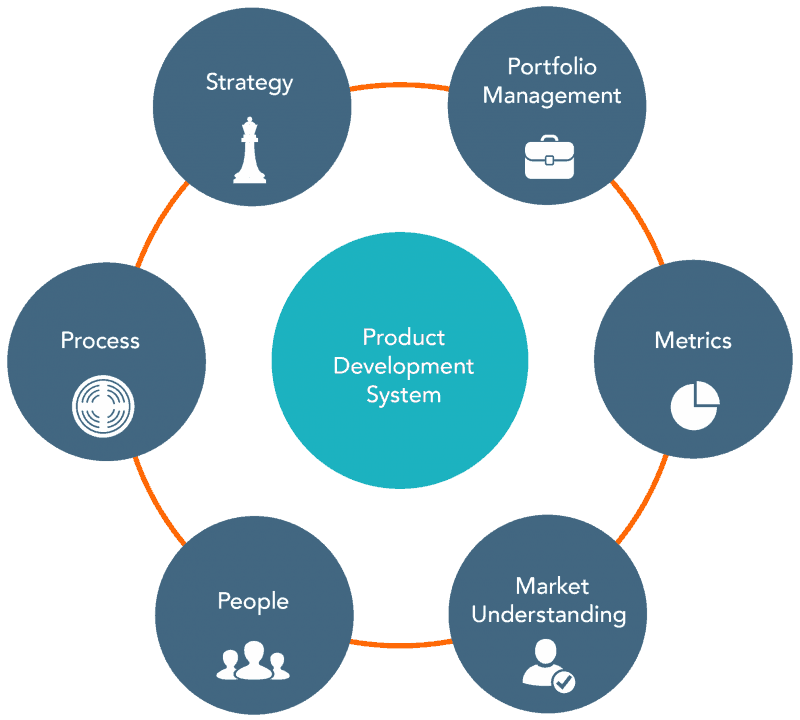 With our proprietary Product Development Elements™ methodology, we create an integrated approach for improving your new product development system. The typical process for our consulting assignments starts by assessing the current new product development system to identify what works, what doesn’t work and what is missing. From there we develop a set of recommendations and a plan for improving the system. Finally, to ensure knowledge transfer, we work with your product development team to design and implement the improved system. The end result is a sustainable, repeatable, smooth-running system that creates successful new products on-time, on-budget and on-strategy. We are able to achieve these results by implementing our proprietary s2m Product Development Body of Knowledge™ (BOK) This BOK will ensure a sustainable repeatable process, and it is a reference point where your team can go to for important product development process activities, roles and responsibilities and templates.